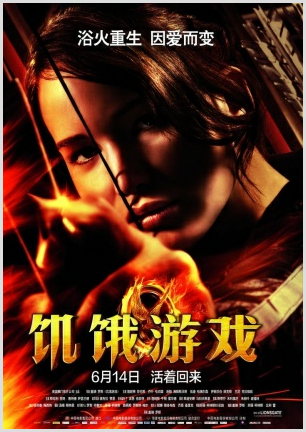 This entry was posted in Analysis, Box Office Reports, General News, Opinion and tagged An Inaccurate Memoir, China box office, China Film Biz, Guns N' Ros, Guns N' Roses, Hunger Games, Lu Chuan, Madagascar 3, Rob Cain, Robert Cain, Xiao Yezi by chinafilmbiz. Bookmark the permalink. great article Robert… Chinese film companies lack the creative writers that are in abundance in America because of the very strict censorship of the past. I think that will change, I also think the current companies should work off of two ideas. first they should shoot a film that would be a hit in the USA, and second, censor that film in the cutting room for the Chinese market. That way they could release acceptable movies for the West and China and in effect double down on the investments they have managed to acquire for a film. Until censorship relaxes a little in China it will be hard for them to take the lion’s share of profit or place for films. The comment below shows a lack of understanding of the circuitous and frustrating process of major film making in China, despite being a somewhat practical idea. First the script has to be approved and secondly the permit for the shooting has also to be obtained. There are other reviews and finally the distribution permit has to be applied for once the censors have reviewed. The issue with censorship is that there are no really firm guidelines of what and what may not be acceptable. While SARFT does publish general guidelines the level to which these are interpreted are varied. Hence most domestic film producers impose their own personal censorship on the film which may or may not be a correct way of doing things. However, this is an issue of DNA which even in the US people intrinsically have, rightly or wrongly. The other issue faced by the domestic industry is the lack of creative talent and mindset. It is well documented that the schooling system does not encourage independent thinking and quite the contrary, actually punishes you for it. Therefore the dreams and imaginations that Western-born people have are simply not shared by the mainland Chinese in their formative years. Rob is correct that by the Hollywood film industry the taking a Chinese view of things, i.e. get the money today, not care about tomorrow, the market runs the risk of the Central Government imposing restrictions on the import film industry in the future which will curtail the opportunity of a vast market in the mainland. Mike: First let me offer apologies for the brusque response from me! I read Rob’s columns often and I know he knows the Chinese industry from his work there, so I had phrased the response based on someone who is familiar with the Chinese film industry. But you are right in that the inner workings of the film industry in China are difficult to even follow at times whether in country or out. Looking at the level of self-imposed censorship exerted by Chinese directors and producers, based on readings of the SARFT rules and regulations perhaps helps explain why there are so many ‘period’ films made in China. The censors pay less attention to these as they cannot say whether things like corruption, nepotism or sexual favors that are portrayed actually took place before the current regime or not. These films put the censor into a corner because supposedly the current regime came to power because of corruption and so on, so if the censor bans this, and makes it all “clean” then it kills history and shows no respect for the Party. If they let it go through, it shows how life was, but this is often a parody of current life thinly veiled which the director is trying to get across and the censor knows they are doing this but cannot effectively do anything about it. How the censor must hate this two edged sword! You will also note that a majority of Chinese films are shot using what is best described as the French technique which distances the actors from the audience as though one was peering in to something that was happening through a series of shots zooming in and out. On the other hand, Hollywood films take you straight in and make you part of the movie in a way that often has you grabbing the chair handles on tense scenes. Why this technique has not been learnt by people like Zhang Yimo, and others, I have no idea. No need to apologize Wang, I always read Robert’s articles and even watch the video interviews he is a part of. He knows the ins and outs of the problems with Chinese film and the people that produce them. He and his partner Daxing have tried to stay abreast of everything that is happening in regards to the China film industry and with great hope maybe someday they will make an impact and the industry there would possibly open up a bit. It is indeed a monumental task that lies ahead, but it is a possibility that things may change and that would greatly benefit everyone involved in film from the writers to the producers and directors in China.